DriverSide Overview For as long as anyone can remember, America has always been about the work truck. Sure, there have been some economical small trucks in the mix with four-cylinder power, but they still sported a body-on-frame setup, and all the while, they played second fiddle to the light-duty pickups of the world. We had some work vans, but they could hardly be called economical, as most utilized a heavy chassis and V-8 power. That all changes with the introduction of the Ford Transit Connect. While the somewhat economical Dodge Sprinter has brought some Euro work van flavor to our shores in the last few years, the Ford Transit Connect brings with it a true feeling of downsizing, with its unconventional profile and four-cylinder power. Indeed, if you aren’t looking to haul around giant pieces of steel, this could be the perfect work compromise for you. 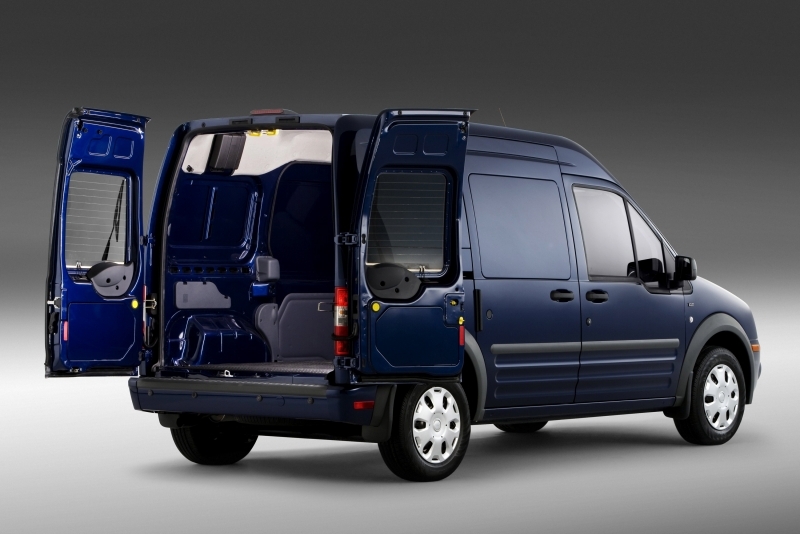 With customizable cargo management solutions and even a proprietary software suite that tracks ID-tagged tools and fleet vehicles, the Ford Transit Connect brings with it the power to service a variety of business types, from florists to plumbers to IT support, and returns decent fuel economy while doing so. 135 cubic feet of cargo space and customizable shelving and storage leaves owners with a lot of options. 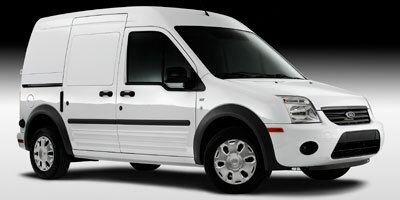 Up to 25 mpg during freeway driving provides a welcome relief to those downsizing from V-8-powered vans and work trucks. 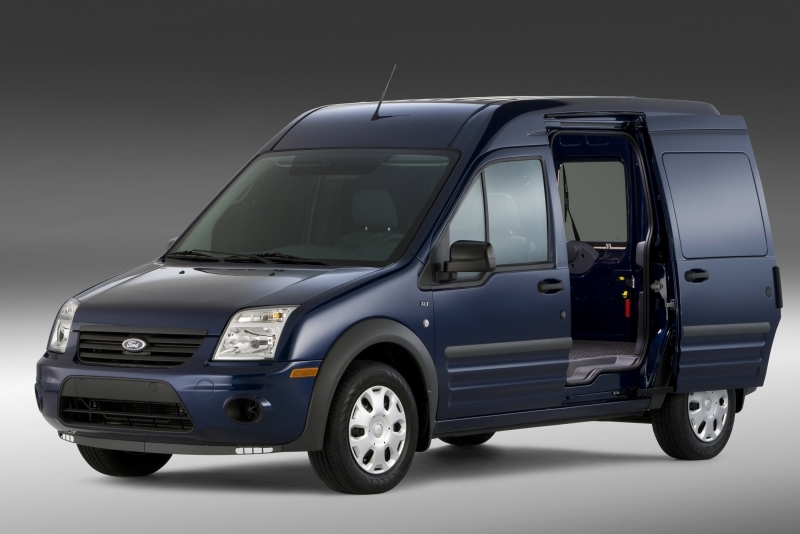 A cargo payload of 1,600 lbs means the Transit Connect can haul a decent amount of equipment, proving a four-cylinder engine isn’t a huge limitation. Those used to driving light-duty trucks may take some time to adjust to the car-like driving characteristics of the Transit Connect. Ford’s Work Solutions software brings with it the convenience of Internet connectivity, though unfortunately it’s not the most user-friendly system. For most, jumping into the Transit Connect shouldn’t provide too much culture shock as for the most part it drives like a car. The large windshield and door windows provide plenty of visibility, though the horizontally mounted rear doors do limit rear views somewhat. Like most vans, the driver sits upright in a command style position – though much closer to the ground than other vans, which makes it an easy vehicle to maneuver around city streets. The 2.0-liter engine feels more powerful than it actually is and has decent low-down response, but it has to be revved to generate true accelerative force. Surprisingly, the four-speed automatic seems more than adequate and, despite its relatively low level of horsepower, the long ratios don’t bother the Transit Connect. The Ford Transit Connect is powered by a 2.0-liter inline four-cylinder engine that produces 136 horsepower and 128 lb-ft of torque. Power is driven to the front wheels via a four-speed automatic transmission. The beauty of the Transit Connect is its ability to adapt to the needs of your business. 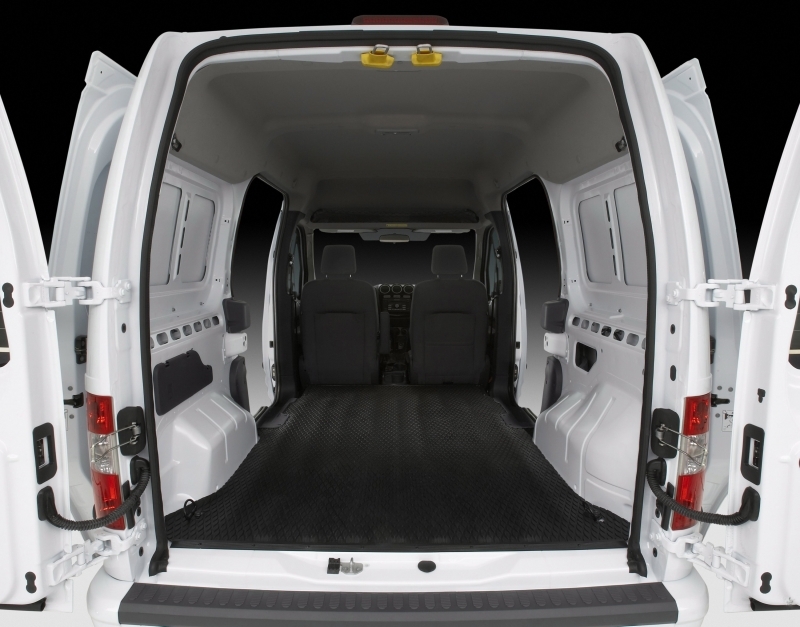 Vehicles can be ordered as just panel vans with no side windows, as passenger vans with center-row passenger capacity, and any combination in between. Racks, drawers, bins, shelves and bulkheads can all be installed to meet the storage needs of a given business. Standard air conditioning is a nice feature for the summer months, too. Those using their Transit Connect primarily for business will want to look into Ford’s Work Solutions package. Most will find the internet access and printing capabilities useful, but if you run a fleet, a program called Crew Chief will prove especially useful as it lets you track your vehicles. Tool Link uses RFID tags to let you know if you have left anything behind at the jobsite – useful if you are using expensive drills, batteries and heavy-duty extension cords on-site. Obviously fuel economy is a big selling point for the Transit Connect over larger truck and van options, and with a 2.0-liter four-cylinder engine mated to a four-speed automatic, the Transit Connect delivers. In city driving it will return 22 mpg, while on the highway that figure raises to 25 mpg. 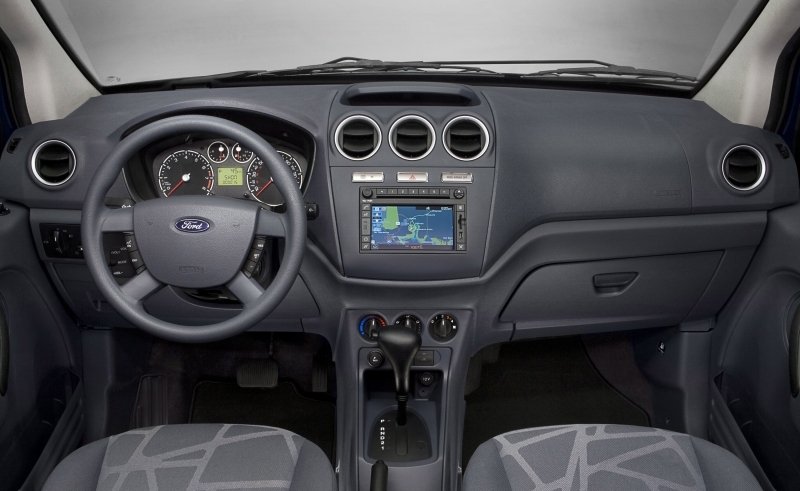 The Transit Connect is very work-like inside, with a very basic cabin highlighted by the digital screen that runs Ford Work Solutions, should the package be specified. The rear can be fitted with a basic cloth bench seat, or any combination of shelves, bins, racks and drawers. Its unconventional profile gives the Transit Connect a very top-heavy outward appearance, especially considering the diminutive 15-inch wheels it sits on. It’s far from stylish, but its low hood line and European looks certainly give it a style of its own. Tinted windows are available for non-panel and passenger versions. With an MSRP of $21,185, the Transit Connect represents a good option for those looking to downsize from fuel-hungry work trucks. Interestingly enough, it doesn’t have any true competitors aside from Chevrolet's HHR Panel ($19,030), though Ford’s F-150 ($21,820) and the Dodge Grand Caravan ($23,995) could be considered close cross-shops. With over 600,000 Transit Connects sold globally since 2003, it’s hard to put forth an argument against the Transit Connect’s success as a work van. For those looking to downsize from light-duty pickups and vans or small businesses looking to expand their local reach, it’s an excellent and economical choice.